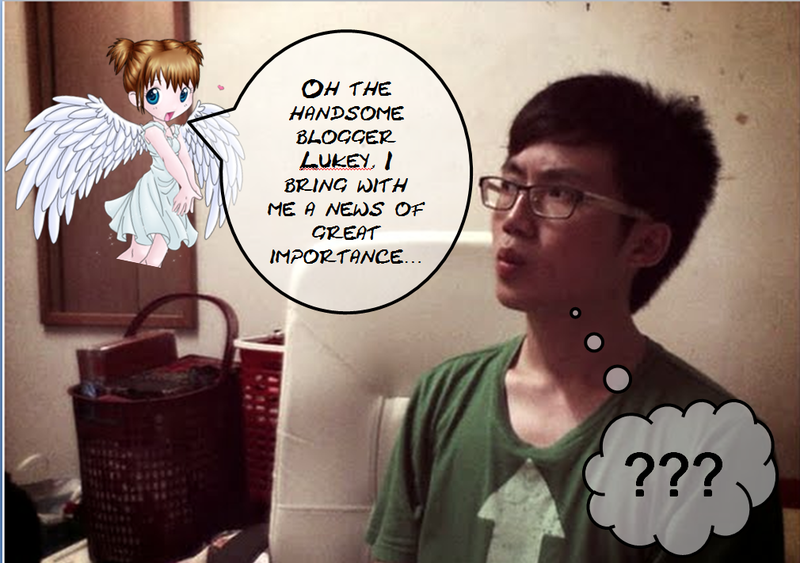 Who knew angels had an anime version? 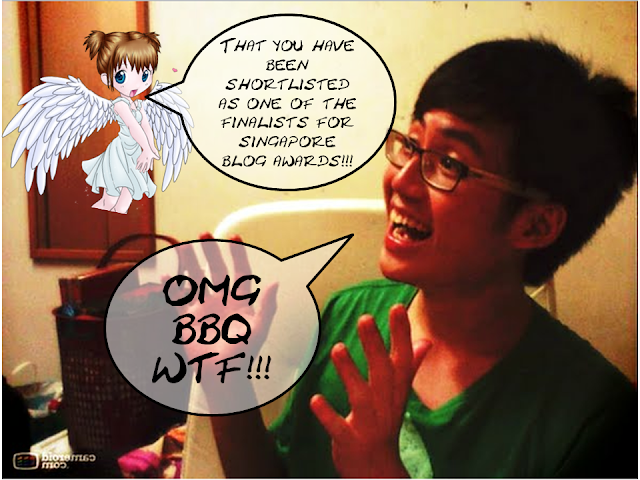 That's right ladies and gentlemen, for the second year running, yours truly lukeyishandsome(dot)com is once again competing to be one of Singapore's top bloggers, with a twist this time. Instead of the Best WTH (What The Hell) category that I was a finalist for last year, I was chosen as one of the finalist for another category this year, which is the Best Y-Bloggist award. To put it in a peanut shell, that means that instead of trying to make you all go "WTH?!" 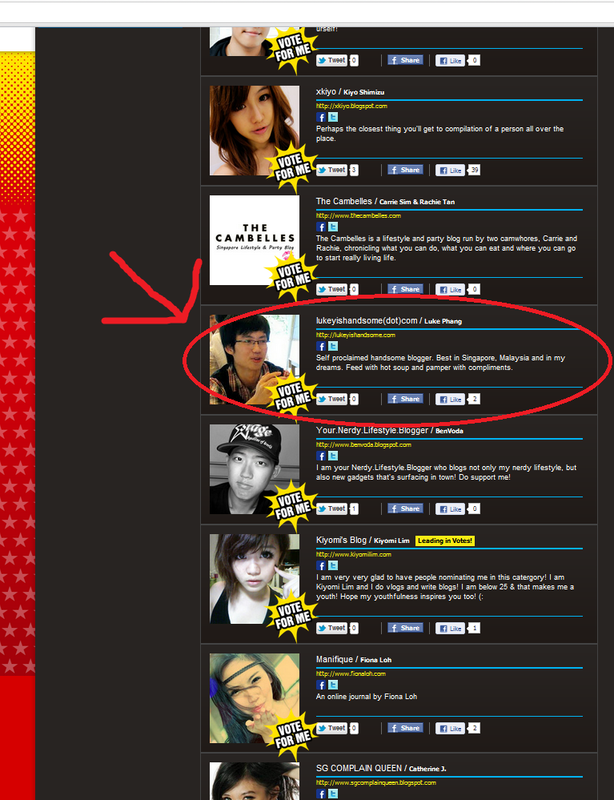 this year, I am the "Yo Wazzup Wazzup" cool kind of blogger this year. For your info, the Best Y-Bloggist category aims to honour bloggers below 25 years of age who are not only creative but media savvy as well. Which means that not only I am young, I am also creative and media savvy too! And not forgetting handsome too. To be honest, I never expected to be shortlisted for this category because I was nominated for the Best WTH category last year and was hoping to have a second shot at the award again this year. Besides, I don't think I'm very media savvy nor creative but I think that those comic strips of mine must have helped a lot. And looks like spamming your applications thick-facedly over the different categories was quite useful too. 4. You need to be an OMY.sg member in order to be able to vote for the competition. If you're not yet a member, simply click register now to be taken to the registration page. There's quite a number of personal details to be filled up but you don't have to worry as OMY.sg is part of Singapore Press Holdings so your details would not be simply leaked anywhere. 5. After successful registration, a confirmation email would be sent to your email address that you've registered with. Simply click the verification link and you're done. Very standard procedures. 6. 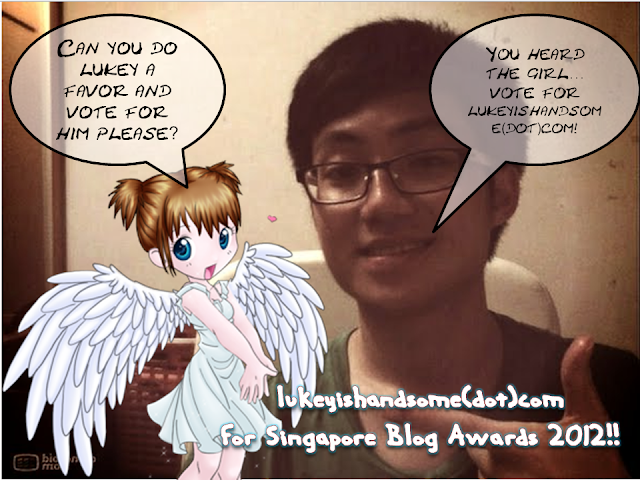 Once you've registered, you can login daily to cast your votes for lukeyishandsome(dot)com and for other blogs in other categories too. Remember, you can vote once per day! 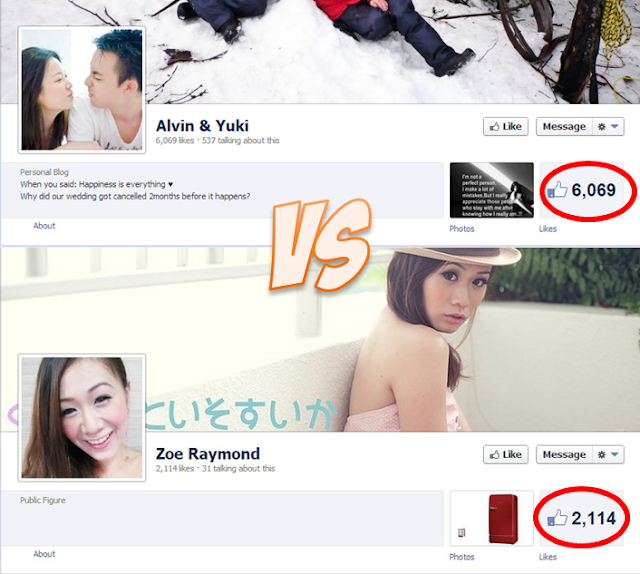 Meaning you could make it into a daily habit, for example voting everyday before dinner or before you log in to Facebook. The whole voting process just takes up less than 5 minutes of your time per day. 5 minutes out of 24 hours, it's quite a good deal. Listen to the cute angel and start voting today! Coming up next in lukeyishandsome(dot)com's Singapore Blog Awards 2012 (SBA2012) blog series, "10 Reasons Why You Should Vote for Lukey!". Stay tuned! And of course, you can start voting now too! All your help is greatly appreciated!